“Lochnevis“, an unusual, innovative design & shape for unusual requirements. 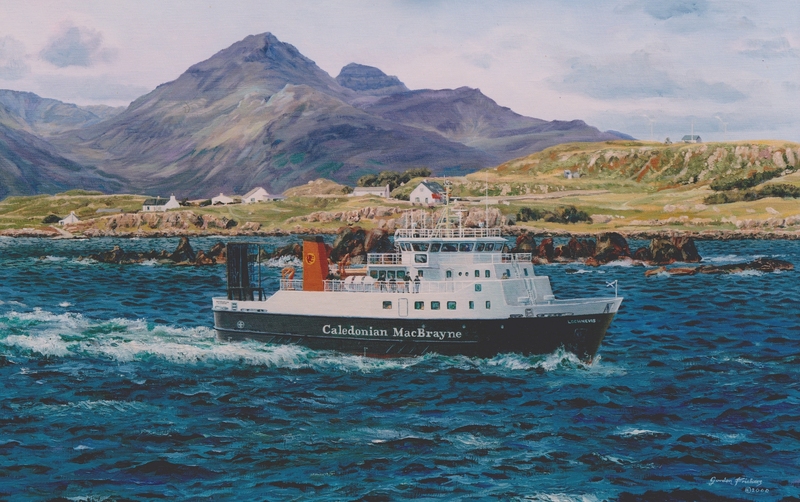 It was decided by Caledonian MacBrayne to fly Gordon Frickers to Glasgow and take him to the Ayrshire yard at Troon were “Lochnevis” was building, for a special inspection accompanied by her design team. 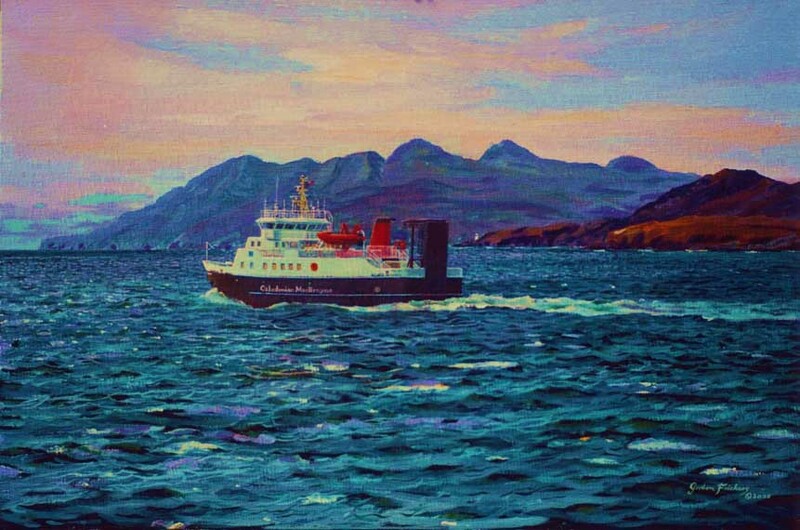 Calmac required 3 paintings of their new ship. One for the salon on the ship, one for the lady who would name the ship and one for the board room. All 3 paintings were required as with previous orders, before the ship was completed, the artist was contracted accordingly. The managing director of Calmac, Captain J.A.B. 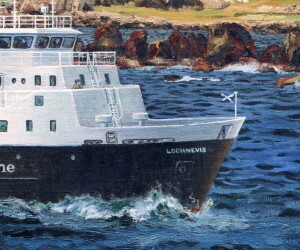 Simkins & Gordon Frickers first sailed on her delightful, diminutive predecessor “Lochmoor” on the Small Island route, from Mallaig to Skye, Muck, Rhum, Eigg, and Canna to prepare ideas and sketches these new paintings. “Lochmoor” was the size of a small tug or large yacht, some 30 m LOA, with a crew of 3. Gordon said; “initially we missed her at the quay. Standing or rather squeezed on her tiny bridge yarning and swapping jokes with her captain and the MD felt more like a day sailing with friends on their yacht, which belied the toughness of this little ferry. Lochmor had over the years served the Small Isles Route sometimes in some very severe weather. The island ports and their quays were small. Even for little Lochmoor docking was hazardous and in one case impossible, the Lochmoor unloaded into island boats. Her captain said that in rough weather he knew it was time to change course when he heard the cook whose galley was directly below him, swearing! The quays were to be upgraded with Scottish Office money. 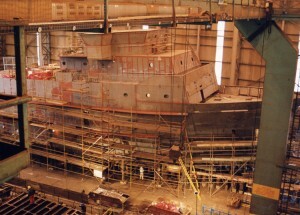 The new ship was to carry vehicles in addition to passengers. 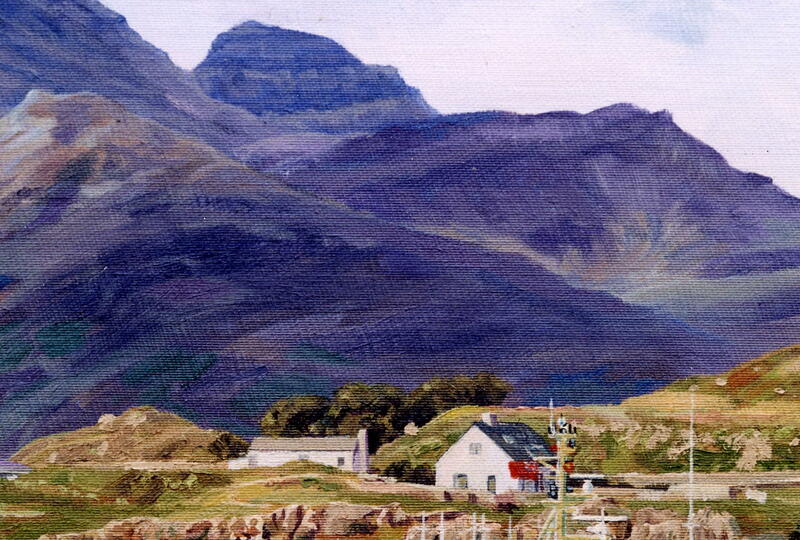 Lochnevis‘ design was to be unlike anything seen before. 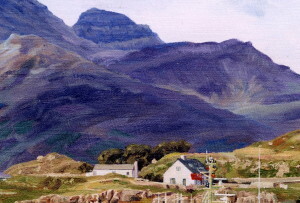 Here is one of the other paintings showing a different view, port side, of Lochnevis. 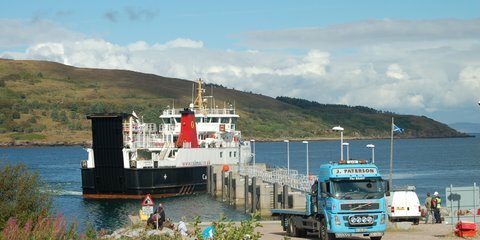 Working what was primarily a passenger route, the new ferry was also earmarked for operating a winter service to Armadale on Skye, which would see her loading up to 14 cars. 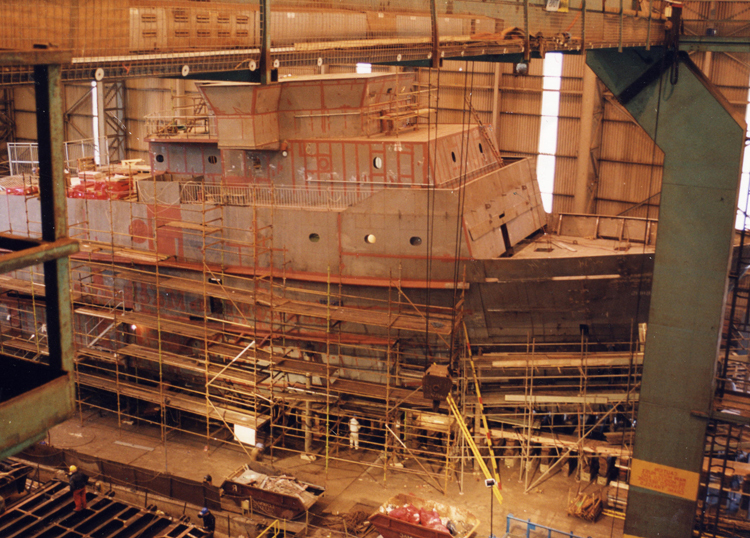 Lochnevis size was inevitably far larger than Lochmor the ship she was to replace. Her car deck is wide enough to comfortably load two articulated lorries side by side. Lochnevis set new standards of comfort and speed for her routes, today (15.03.15) she is still plying her way out of the Sound of Sleat six days out of seven. Duties serving Rhum, Eigg, Muck and Canna she also operates the winter vehicle service from Mallaig to Armadale. In this latter role she provides one return sailing in the early morning before her Small Isles sailings and then another in the late afternoon on weekdays. According to one of her crew, she is the only vessel in the fleet that sees more activity and sailing hours in the winter than she does in the summer! For those who would like to learn more about Lochnevis and Calmac but are unable to visit the magnificent western isles the web sites www.shipsofcalmac.co.uk and the official site www.calmac.co.uk are good places to start.